This my last finish for the Mod Mosaic Bee I joined in last year. Safiya is going to have a little girl so these blocks will go to making a first quilt for her daughter. She asked for aqua, grey, yellow, coral and pale pinks. I didn't realize until typing up my post that I didn't use any yellow. I suspect because I don't have many pastel or lighter hues of fabrics. My purchases are usually bright bright bright. I did have some (thank goodness for the Stash Stack I joined for a few months) lighter colors for her color palette. As I created Mod Mosaic blocks last year (two every month) I have come to hate them. Not because I don't like them, but whew - they are a lot of work for me. Directions, patterns, rules and order of operations are a delight to me but improvisational is not. These blocks went together much faster when I laid them all out first but no rules kind of stress me out. What about you? Which style do you prefer? One down, 12 to go! 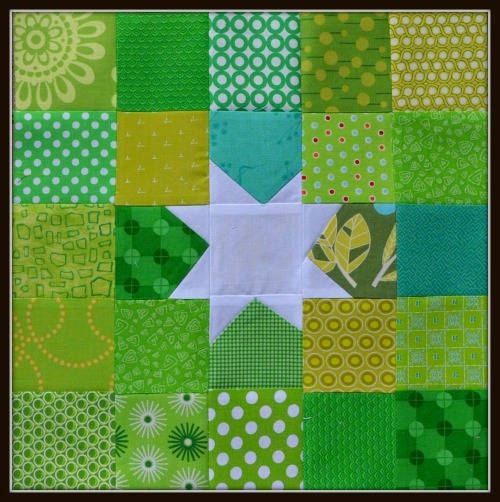 I completed my practice block for the Lucky Stars Block of the Month Club recently. It seems that when I don't think about it, things go much more smoothly. You see, reading the directions usually makes me overthink it. But...in this case, I messed up. I glanced at the directions and just threw the fabric together for the first seam. 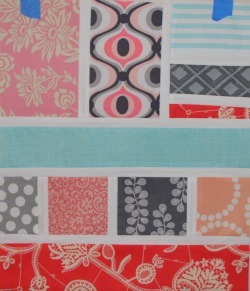 Working in an assembly line is best for me so I will do all of the 1-2 fabric for all blocks, then all of the 2-3 fabric. It's a great process until you mess up, and have to rip out on 8 blocks (and by the way the stitch length is set at 1 - gaah!). And since this seems to be a self reflection post, let me also add that I really like to pre-cut the fabrics before starting. There does appear to be more waste using this method, but thankfully, there is no frustration because the fabric is too small. I'm a scrooge and I don't like to waste fabric, but if the alternative is rip out seams two (or three or four) times, then honestly, it's a bargain. There is no number high enough to tell you how many times I have attempted to use an itty bitty scrap only to have it not fold over or not quite reach the corner. For a practice block, this was perfect. It reminded me where I need to pay attention and how I need to work these blocks as well as add a can of starch to my grocery list too. On this block I used Kona Ash, Kona Bright Pink, and Kona Sour Apple. The yellow polka dot middle is something in my stash. 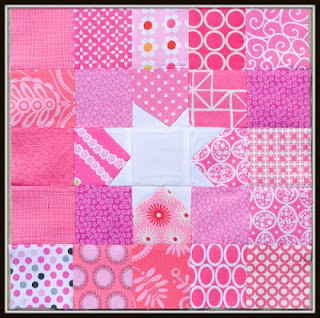 Although I have not decided on a color scheme for these blocks, I just may follow this one and use solids and polka dots. If you have been following me for any length of time at all, you will know that I love swaps and bees. 2013 is no different! 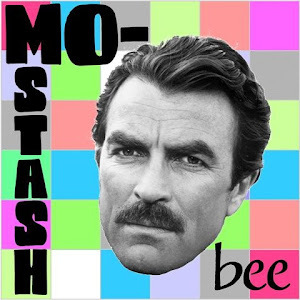 This year I am in the Modern Stash Quilting Bee hosted by two very dear people to me, Whitney and Deb. 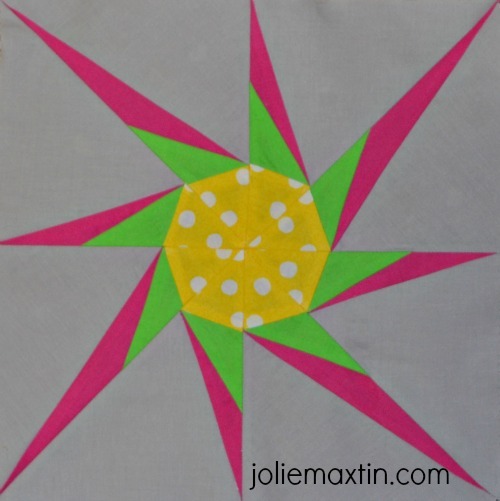 I had the pleasure of meeting them both face to face at Sewing Summit last year. They are lovely in person and I am honored to be included in this six month bee of theirs. 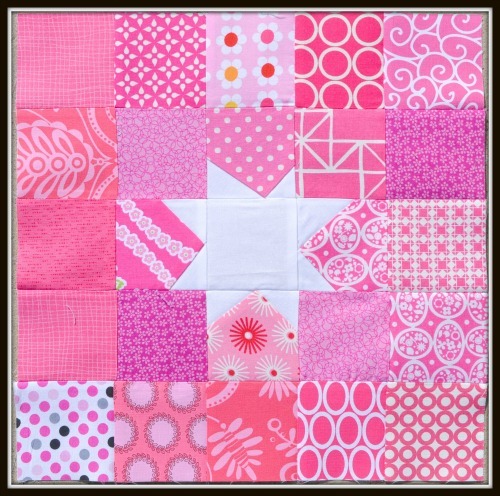 Our January hostess, Emily, is going to have a rainbow of blocks and hopes to assemble a quilt that is similar to this one. I had these all sewn up on Dec 29th and am happy to be ahead of the game! My colors were dark pink and medium green. You know how I feel about green right? The funny thing is....I really enjoy buying green fabric - go figure right? It served me well as there are very few duplicates in the green block thanks to my wonderfully plump green stash. Now I will await what February brings me! 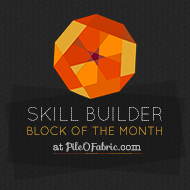 Let's Build our Skills Together! 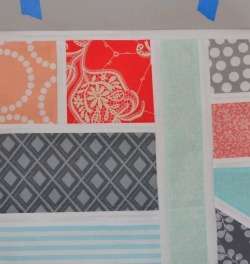 Alyssa at Pile O' Fabric has it all planned out! I must say that some of the blocks look hard and require some thought, but that's what is is all about right? Challenging ourselves and getting out of our comfort zone will only enhance our knowledge. We will be making 2 blocks a month and she will publish on the third Thursday of the month. That will be easy to remember as that is when my local modern quilt guild meets! The best thing about this series, it's free! Please take a moment, if you join, to tell her thank you for offering this. She could easily charge for it and it takes a lot of time to prepare instruction. I'm excited (and nervous) for this series! I promise that I will post all my blocks though: the good AND the bad. Join me! Here is the post with all the details and the sign up form.